If this pattern continues I may grow to regret my suggestion that too many fossilised veterans are still roaming the heavyweight landscape. In the days since, I’ve begun to believe making that statement was roughly equivalent to saying ‘Candyman’ three times into a mirror. I’ve received press releases or read stories on Evander Holyfield, Henry Akinwande and Andrew Golota. 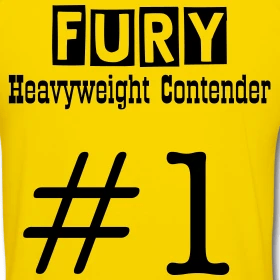 Seriously, the heavyweight division is close to self-parody. I’m waiting for Simon Pegg to come and rescue me from the advancing zombies. Today’s veteran? The old Atomic Bull himself, Oliver McCall. My disappointment with this parade of creaking 40-somethings doesn’t completely extinguish my interest in them as fighters and there is no denying McCall will probably always stand a punchers’ chance with any heavyweight currently plying their trade. In truth, his fight with Sinan Samil Sam has stirred my interest particularly as the fight’s location, Turkey, further underlines the increasing globalisation of the sport. America is not the only fruit. One suspects the WBC #4 heavyweight will be very close to a title shot should he overcome Sam, providing the Maskaev, Peter and Klitschko round robin is executed in a timely fashion. At 42, presumably Oliver is in a hurry. Then again maybe he isn’t. With an unbeaten streak of ten fights, and with only one defeat in his last 25 fights, former world heavyweight champion Oliver McCall is on a torrid hot streak that he hopes will carry him to another championship. But first, “The Atomic Bull” has to get by rugged battler Sinan Samil Sam (27-3, 15 KOs) on Saturday, June 16that the Ataturk Spor Salonu in Ankara , Turkey for the WBC International Heavyweight Title. “This is going to be a great night for me,” said the 42-year old McCall, one of only two men to knockout future Hall of Famer Lennox Lewis. “You’re putting “The Atomic Bull” in Turkey , and when Sam tastes my power he’ll be running like a chicken.” McCall (50-8, 36 KOs ) has proven himself over the course of over 20 years as one of the premier heavyweights of this era. Owner of the WBC world heavyweight title from 1994 to 1995, the Chicago native owns wins over Lewis, Larry Holmes, and Frank Bruno, and has also defeated current WBC heavyweight champion Oleg Maskaev via a first round TKO. Currently ranked fourth in the world by the WBC, McCall is fresh off a decision win over Marion Wilson in February, and he knows a win over Sam in his home country will propel him even further up the rankings.